AXYS® CHASSIS: The NEW AXYS® chassis for the 144 platform is light and strong, offering rider balanced characteristics critical for the 50/50 rider. The rider is moved into a balanced position on the sled so it rides flat through the corners. When the trail gets rough or the rider jumps off into the powder, rider balance enables the rider to move back and make the front end light to climb up on top of the snow or the moguls. NEW IGX 144 REAR SUSPENSION: A core element to the new AXYS® 144 platform is the all new Ideal Geometry X-Over 144 uncoupled rear suspension, which offers the ultimate blend of durability and strength. The IGX 144 rear suspension provides RMK-inspired off-trail agility and balance with a drastically improved on-trail ride. Pitch is controlled through geometry in this new rear suspension. 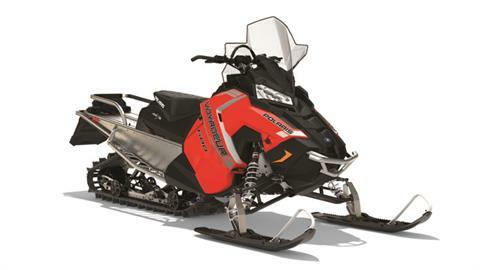 With 43% more front torque arm travel, this sled features reduced bottoming and less drag off-trail. 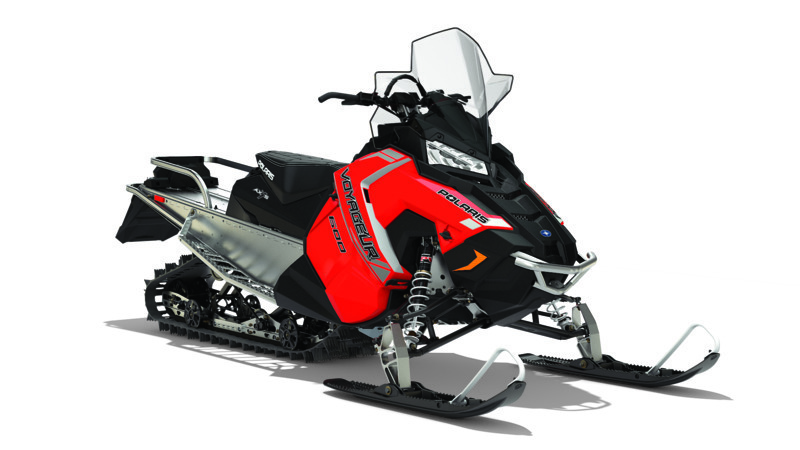 An all new optimized, lighter, tipped rail beam design gives the sled a nimble feel. 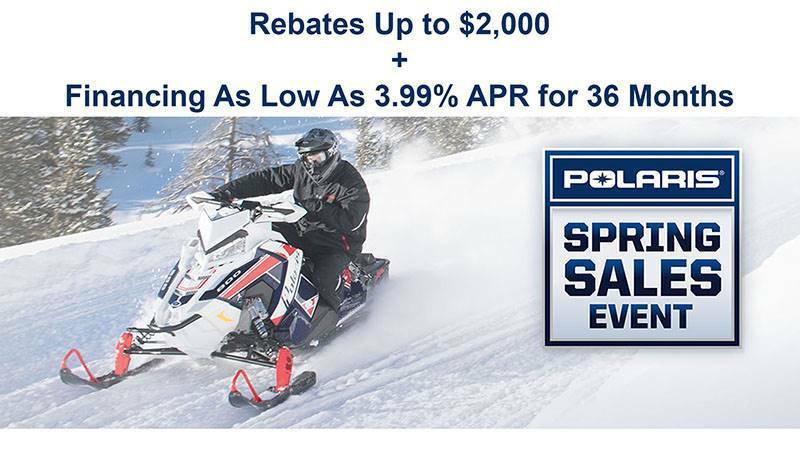 POWDERTRAC™ HYBRID RUNNING BOARDS: The all new PowderTrac™ Hybrid running boards offer optimized design with 56% open space for maximum snow clean out while maintaining extreme strength. Designed specifically for the crossover rider, the boards are wider and flatter in the front for comfort while sitting and better positioning while standing up. The rear of the boards tapers back for better mobility and snow clearance when carving. INTEGRATED STORAGE & CARGO RACK: Standard underseat storage was designed and developed right along with the AXYS platform, so it installs securely and features seamless, integrated styling that matches the sled’s design lines. Compression-molded materials provide semi-rigid storage and enhanced styling Sturdier zippers provide better cargo security and protection Installs without tools Standard rear rack offers additional cargo capacity, up to 25 lbs.